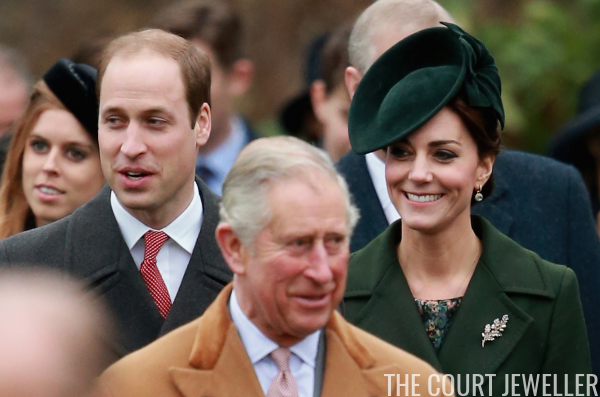 The oak tree is an important symbol for the Middleton family, and oak leaves and acorns feature prominently in several pieces of the Duchess of Cambridge's jewelry. 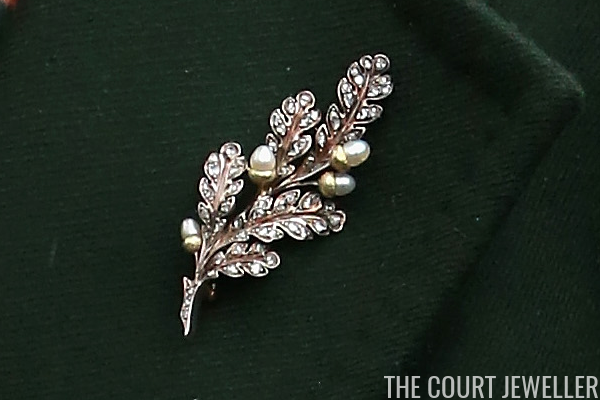 The most famous of her oak jewels are undoubtedly her wedding earrings, but she also has a gorgeous oak leaf and acorn brooch. 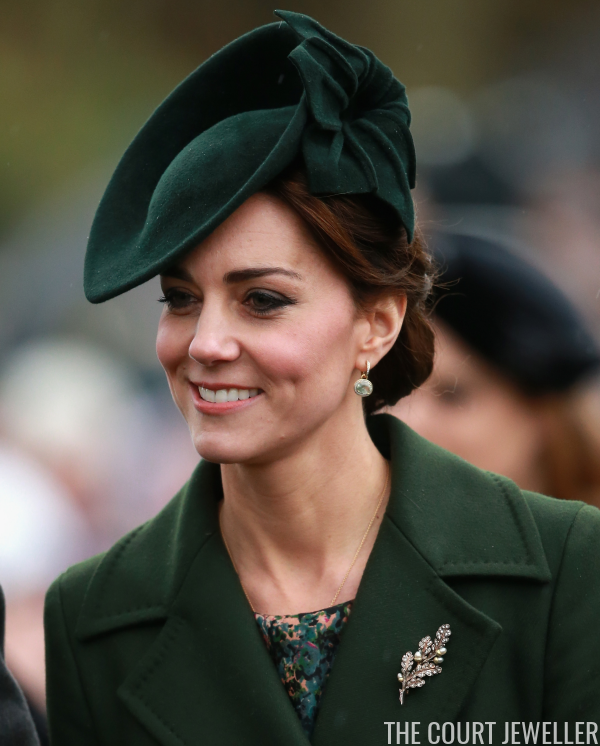 We don't know who made the brooch, and we don't have any information about how Kate acquired it. We can see, however, that the piece is made of diamonds (probably set in gold) and studded with pearly acorns. 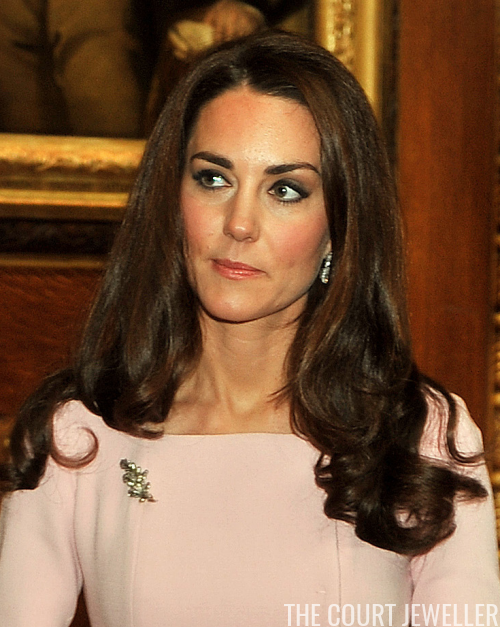 Kate debuted the brooch in May 2012 during the Queen's diamond jubilee festivities. She pinned it to a pink Emilia Wickstead dress for a Windsor Castle luncheon attended by sovereigns from all over the globe. We got a much better view of the piece, however, when she wore it to attend Christmas church services near the Sandringham estate in 2015.